Zujur D, Kanke K, Lichtler AC, Hojo H, Chung U, Ohba S. Three-dimensional system enabling the maintenance and directed differentiation of pluripotent stem cells under defined conditions. Science Advances 3, e1602875,2017. 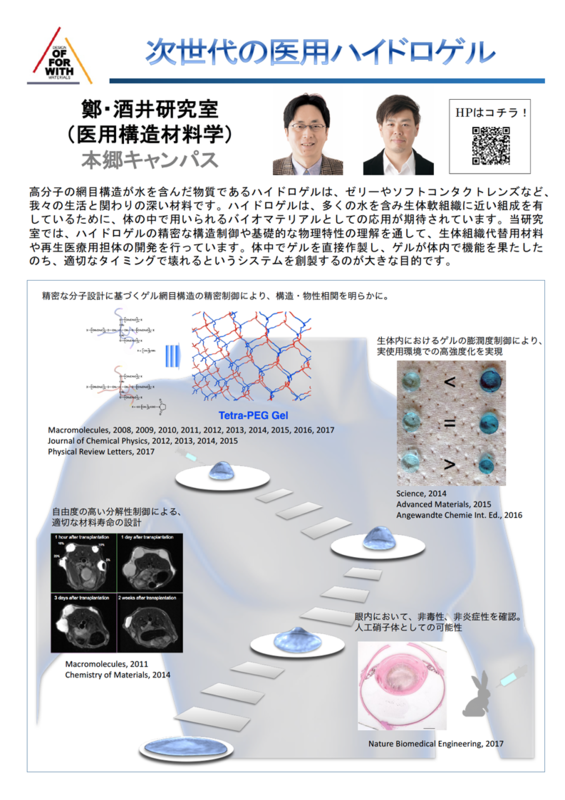 Hayashi K, Okamoto F (co-first author), Hoshi S, Katashima T, Zujur D, Li X, Shibayama M, Gilbert EP, Chung U, Ohba S, Oshika T, Sakai T. Fast-forming hydrogel with ultralow polymeric content as an artificial vitreous body. Nat Biomed Eng 1:0044,2017. 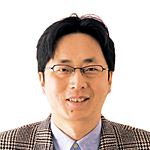 Honnami M, Choi S, Liu I, Kamimura W, Taguchi T, Ichimura M, Urushisaki Y, Hojo H, Shimohata N, Ohba S, Amaya K, Koyama H, Nishimura R, Chung U, Sasaki N, Mochizuki M. Repair of segmental radial defects in dogs by using tailor-made titanium mesh cages with plates combined with calcium phosphate granules and basic fibroblast growth factor-binding ion complex gel. J Artif Organs 20:91-98,2017.